There were squeals of delight that could be heard all around Notting Hill last week when I was handed a box by Ruby Wax and told to open it... look what was inside!! These are cupcakes... but not just any old cupcakes. 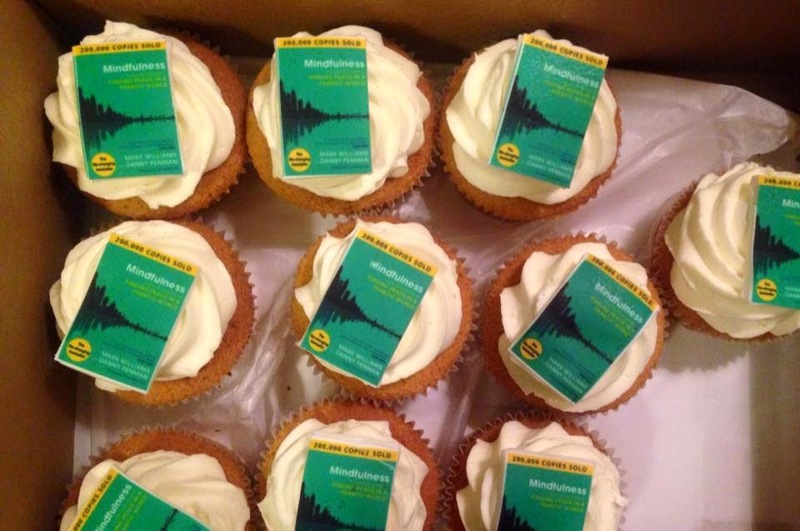 These are cupcakes with Prof. Mark Williams's book on the top. His bestselling Mindfulness book has sold more than 200,000 copies - and I think these were made to mark such a phenomenal milestone. There is only one way to eat them... mindfully!